Installing drivers for your video card may sound a simple thing to do but there are some important things that should be taken care or to follow for graphics card driver installation. 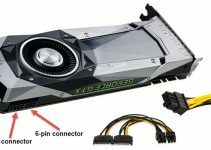 Drivers are needed for every computer hardware component whether it is a graphics card, sound card, keyboard, mouse or any other component. Drivers let your hardware device to communicate with the windows operating system and they also enhance the performance and features of the hardware component. A bad and poorly optimized driver can severely reduce the performance of the hardware or component and can also pose various issues in windows operating system that include BSOD (Blue Screen of Death), freezing of OS, reduced performance etc. So installing the right drivers are very important for your all your components including video cards or graphics cards and here I will list down the important points that you should follow when installing drivers for your graphics card. Here are the various important things that you should keep in mind when installing drivers for your AMD or Nvidia graphics card. The first thing that you should keep in mind is that you should always download video drivers from the official website of the GPU manufacturer. For NVIDIA Graphics cards you should download the video drivers from the Nvidia official website and for AMD graphics cards you must download the video drivers from the AMD official website. 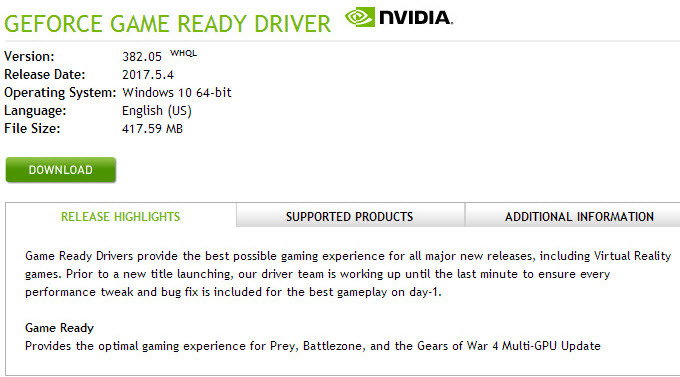 For Nvidia it is generally GeForce Game Ready Drivers and for AMD it is Radeon Software Crimson. 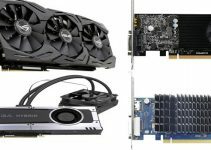 Below are the graphics card drivers download links for Nvidia and AMD graphics cards. When downloading the video drivers, make sure to download the drivers for right graphics card and windows operating system and version i.e. 7 / 8 / 10 and (32-bit or 64-bit). Also make sure that the video drivers you are downloading are WHQL certified. WHQL or Windows Hardware Quality Labs is a certification given by Microsoft for stability of drivers on Windows Operating Systems. WHQL drivers are almost bugs free and they are do not crashes your Window OS or cause BSOD or make any problems with other programs and applications on windows. Do not download Beta drivers unless specified for a particular game, and even if you download and installed beta video drivers then remove them after completing that game or until a new WHQL version video driver is released for that game. Remove and uninstall the older video drivers before installing new and updated drivers for your graphics card. You can uninstall the video drivers from the add/remove programs in the control panel. If you are unable to remove the graphics driver completely then you can use Display Driver Uninstaller (DDU) which is an amazing tool to remove Nvidia and AMD video drivers from Windows. After removing or uninstalling older drivers you can now install the updated or latest video drivers for your graphics card. After installing the video drivers, restart your computer to finish the process. Do not delete the old copy of video drivers from your hard drive because you may need them if something goes wrong with the latest or newer video drivers. After installing the latest video card drivers, you can check its performance by playing games and see if they are working properly or not. If you are getting lower performance or FPS in games compared to older drivers then you can roll back to the older video drivers. 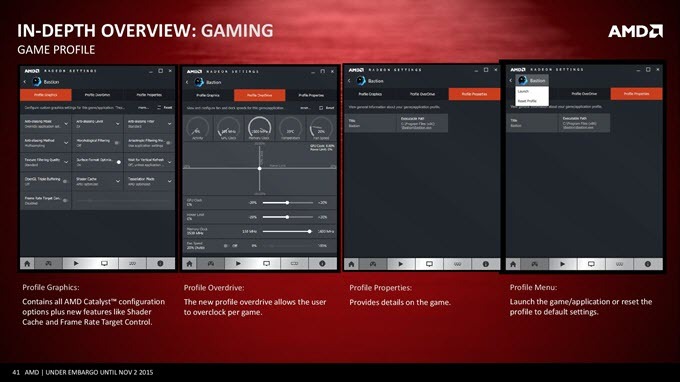 You may also try to overclock the graphics card to see the newer video driver’s performance in overclocking department. This is because sometimes newer drivers do not always deliver better performance and they may pose problems compared to older video drivers. In such cases it is better roll back to the older driver until a more latest version of driver is not available for download to address those issues in that buggy graphics card driver. At the end I would like to say that if you follow the above mentioned simple steps then you will not face any issues with graphics card driver installation for both Nvidia and AMD graphics cards. If you have any queries regarding graphics cards or its drivers then feel free to ask me by leaving a comment below. 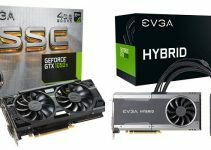 AMD vs Nvidia Graphics Card – Which is Better?